We Thrive For Quality Care! Thrive home Care was founded to help our loved ones retain their pride, dignity and independence with our full-service home care. Thrive Home Care is dedicated to serve and to offer the best quality and most reliable non-medical homecare services to seniors or anyone who needs extra help in the comfort of their homes. 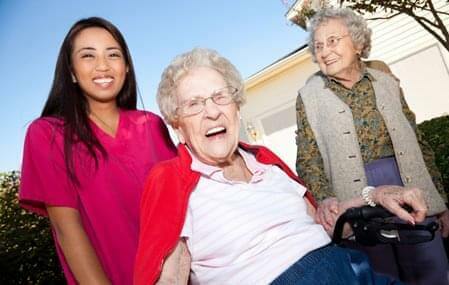 We provide hourly care and extended hourly shifts with rates that are affordable and reasonable. 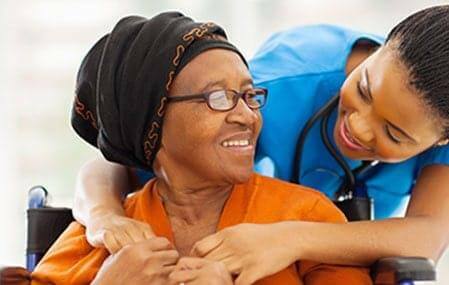 Our Caregivers are chosen and trained to match our client’s needs and protect their health, welfare, properties and belongings. We are Screened,insured and bonded. Locally family owned; not a franchise. Total peace of mind! Finding an in-home caregiver that is qualified and trustworthy can be overwhelming. Often a major medical event has occurred, and arranging for care at home is the last thing on your mind. Choosing the right caregiver is an important decision-don’t settle for less. Whether you use our homecare for one day,or for years to come, we want the experience to be so positive that you will gladly recommend our service to your friends and family. Having a caregiver in your or a loved one’s home is an important decision, a responsibility we do not treat lightly. Our job is not only to provide a compatible caregiver, but also to help make a difference in the quality of our client’s life! Thrive home care is a non-medical home care service provider specializing in personalized care and companionship for seniors and individuals needing a little help getting around their home or any need. We serve the entire Bay Area, including Alameda, contra Costa, Santa Clara, San Mateo, San Francisco and Marin counties. Staff of the Thrive Homecare are wonderful. They were just a great people to work with.Their caregivers that was assign to my mother did an excellent job with her.They often call me for any updates or asked how things are going. I was very fortunate to find an agency that I can trust and work our budget as well. I was very very pleased and happy about the service. We have been clients of Thrive Home care for a year now. The lady CNA Luisa. She is so dedicated and compassionate with the care of my mother. My life has been easier with them, they are such a great help. We love them ! Caregivers of this agency did a wonderful job to my mother. Unlike the past agency that my mother with.My mother always clean and she look more happier. They are really committed to the well being of their clients. They are very reliable, trustworthy and easy to work with. Excellent job Thrive homecare, keep up the good works. Highly recommended. Thrive Homecare was referred to me by a good friend when Im looking for someone to care for my grandmother. Im the only one whose taking care for her for quiet sometimes now so i decided to look for an agency to help me out. I called this this agency and set up a date and time to met them and assess my grandmother. They are down to earth people and they talk to you like you are their own family, they approach you professionally and with respect. My grandma has an Alzheimer and they assure me that all of their caregivers can deal with those cases.they really take care of my grandma and they know what they are doing. It makes my life a lot easier and to my grandma too.I would definitely recommend this agency to anyone who maybe in need of In home care services. Your love ones are safe in this agency. Thrive Homecare is a well manage agency. Caregivers & management are professionals. I highly recommend this agency if you guys need someone to take care of your love ones. My father is under their care for several months now & I dont have any complain about their services. if only I could give them 6 stars I would. Thrive caregivers and in home care was extremely professional, helpful and sympathetic to our needs especially when we were going through hospice care for my grandfather . They were very resourceful and extremely professional . They provided us with documents highlighting their proof of insurance and coverage. They carefully screen their employees and that gave us a lot of comfort and peace of mind wth affordable cost. I cannot emphasize what a great experience my sister and I had with everyone at Thrive caregivers. we got so overwhelmed with my mothers care, our care coordinator Chona was Really caring with her matching personalize service and most importantly very knowledgeable made sure that all details were covered.kudos to you Job well done ! I was Extremely Satisfied with thrive Homecare. This agency was recommended to us when my father is in one of the Nursing Skilled facility in El Sobrante during his rehab. They definitely open to our concerns about my father's care.We have three different Caregivers for my father. They were knowledgeable and did an excellent jod for him. They came to work on time and they make sure that my father is comfortable. 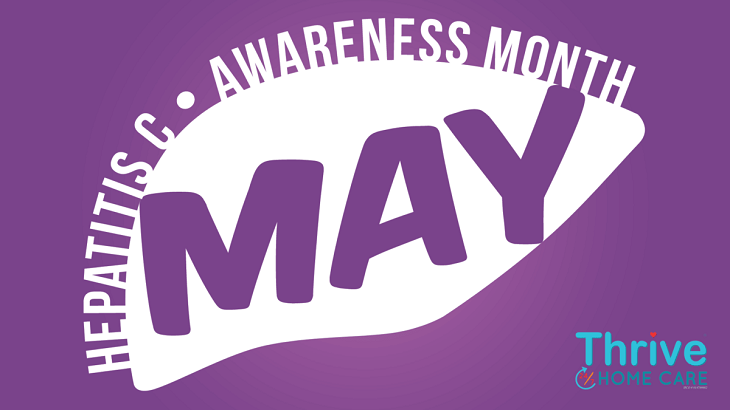 May is Hepatitis Awareness Month in the US, and May 19th is Hepatitis Testing Day. At Thrive Home Care, we want to raise awareness and highlight an abstruse epidemic that affects many people, especially individuals who are seniors and those in the medical and non-medical field. 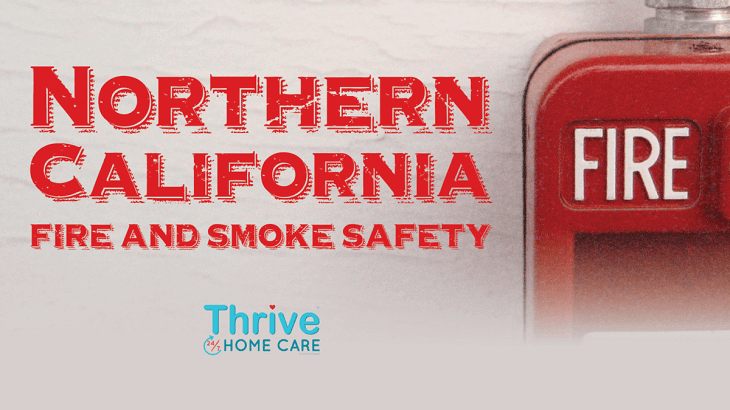 Learn more about the symptoms of the disease, Hepatitis C prevention and where to get tested and vaccinated for Hepatitis C.
Safety is the highest priority as we undergo the effects of the Northern California fires. While the fires continue to rage, we are faced with another dangerous matter: smoke. The most vulnerable to the smoke are our elderly loved ones, children and individuals who have respiratory conditions. We have compiled some safety recommendations to help reduce the harm to our health. 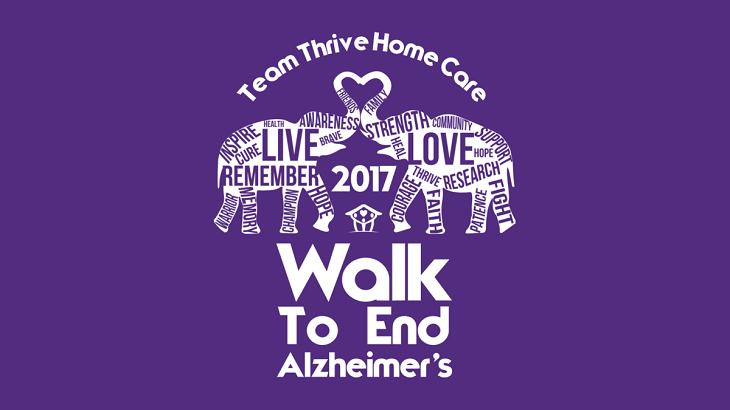 Team Thrive Home Care is participating in 2017's Walk To End Alzheimers in Walnut Creek, CA! © 2019 Thrive Home Care All Rights Reserved.